Back to the past is my entry to the Slick Competition 2011. To fit the theme I came up with the story of a little Magicka magician who fumbles with one of his last learned spells and is transported way into the future in a world full of hostile robots. The magicka has to collect certain magic letters that will help him to open portals. Follow the ingame instructions to play! Most menus, splash screen or title screen can be skipped by pressing Return or Space. In the game you can guide your magician left and right. This works using cursor left and right or 'A' and 'D'. 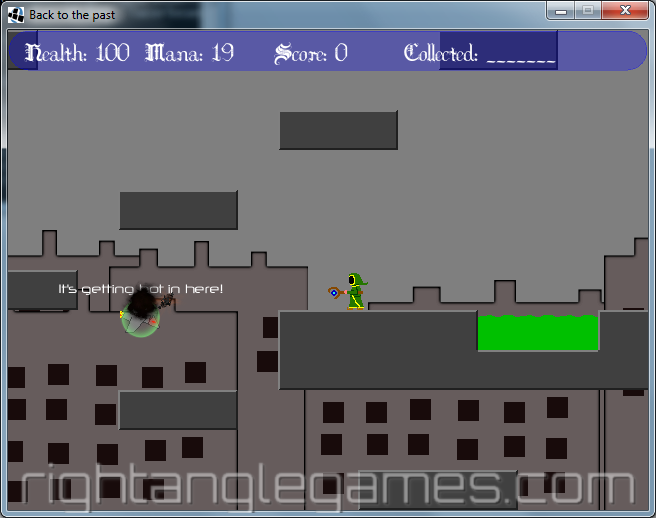 Your magician can jump using cursor up, 'Y', 'Z' or 'W'. You can also do double jumps (in air jump) and wall jumping. Finally you can fire your current spell (only fireball right now) using 'X', Space or the left control key. You have to collect all MAGICKA letters to open the exit on each level. If the exit is open just walk into it and proceed to the next level. 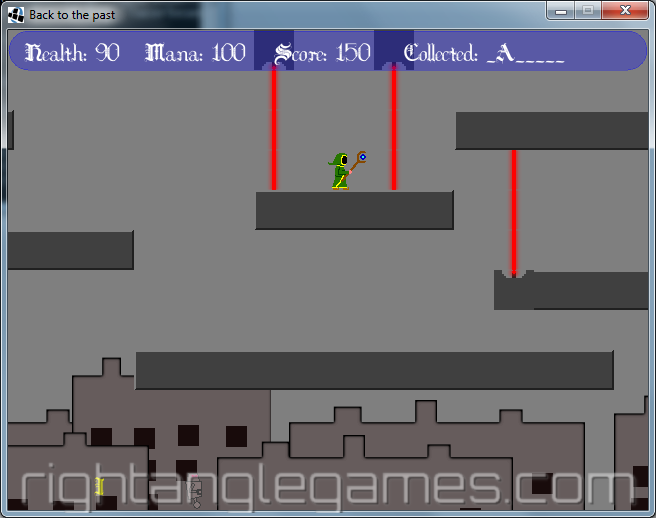 Back to the past contains a built in level editor. Press 'E' on the title screen to enter the editor. Press 'Esc' to leave the editor any time (beware, no safety questions to save your work!) and get back to the title screen. I plan (and currently already do) to enhance the game a bit more. If you have some suggestions or feature wishes feel free to add them to the comments at the bottom of this page! 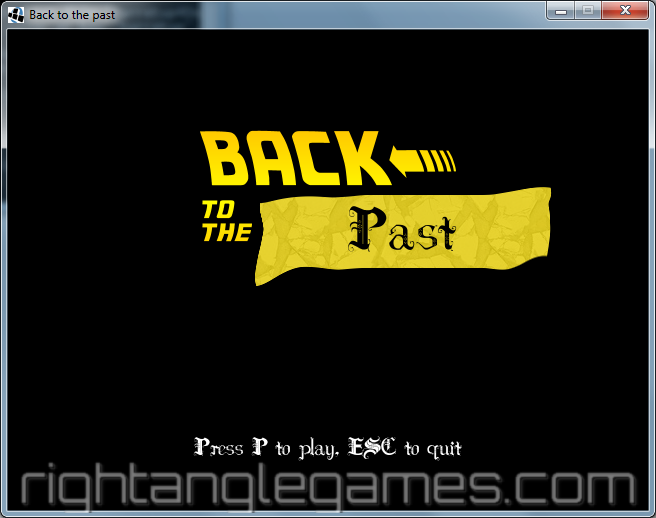 The newest version of Back to the past is available here! The current version is 1.1! You can download the playable competition entry here. Here you can download the source code of the competition entry version.